It’s time to talk about Prometheus. If you haven’t seen it, probably best to stop reading now [rhymes with ‘boiler inert’]. But before we do, a few reflections on the franchise out of whose chest it sprang. For all of its flaws, the Alien quadrilogy has aged remarkably well. In fact, the flaws are a big part of what makes the series so fascinating. The first installment notwithstanding, that is – it is essentially flawless. Alien might be that rare film that creates its own genre while spinning a narrative so engrossing and visually astounding that its filmic “importance” becomes secondary to its emotional impact and poetry. None of the conceits, such as the “gothic horror in space” or “truckers in space” angles–what are now called (dismissed as) “mash-up”s–feel tacked on. Even the revolutionary feminist aspect serves the story and atmosphere of the film to brilliant effect. Whatever statement Ridley Scott was trying to make, he made it by keeping his first loyalty to his art. James Cameron’s sequel, especially the “extended cut,” has some problems, but the mythology of the xenomorph and Weaver’s remarkable performance (Lance Henriksen too) more than overwhelms the director’s shortcomings (e.g. cheesy dialogue, aversion to subtlety of any kind). Indeed, Cameron’s gifts have probably never been on fuller display than during the Marines’ initial descent into the nuclear processing station. 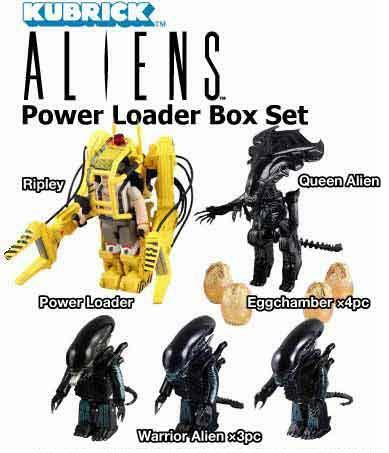 The opening sequence, in which the company cuts Ripley out of her ship, might be the most immaculate thing he’s put on film, and the iconic climax with the power loader still looks good, after all these years. Say what you will about “the king of the world” but he has a way with cool weaponry. Just too bad he had to repeat himself so blatantly in Avatar. Then there’s Alien 3, which might be the most interesting of all. It’s Fight Club/Social Network‘s David Fincher’s first film, the one he refuses to talk about or revisit, the one that got as sabotaged and harangued by nefarious corporate interests as the characters in the film itself did. Alien 3 is also the one where the religious aspects of the story come to the forefront (and the language gets appropriately coarse): Ripley as both Mary and Jesus, the xenomorph as the judgment of God, etc. The “workprint” is a better film than the theatrical version, especially in Blu-Ray (where they cleaned up the sound and effects in the extra footage), but not by much. If only the initial director and screenwriter Vincent Ward had had his way and been able to realize his vision of Ripley and the Alien crash-landing on a wooden satellite monastery. Man oh man. For more, go here. Finally, there’s Alien Resurrection, the much maligned but actually pretty good fourth chapter, Jean Pierre Jeunet’s follow-up to The City of Lost Children, complete with Winona Ryder, a basketball court (slam-dunking Ripley! ), and a whole lot of slime, not to mention a screenplay by none other than Joss Whedon (who is not a fan of the finished product). The space chapel scene has got to be one of the coolest church scenes in all of film. A huge wrought-iron cross and an electronic Bible, which pre-/post-dates the Kindle by many moons. Jeunet confounded expectation by bringing a bit of his Amelie whimsy to the picture, and certainly it’s not everyone’s cup of tea, but after Alien 3, I’m not sure how you could have possibly gone darker. Of course, Jeunet’s erstwhile co-director Marc Caro (and Design Supervisor on Alien Resurrection) went on to make the very Alien-like, incredibly Christian sci-fi film Dante 01, aka Passion of the Astro-Prisoner. We can talk until we’re blue in the face about the symbolism in the films. And people have! (Though not nearly as much as Buffy, apparently). The metaphorical fecundity – Freud and Jung would both have an absolute field day, to say nothing of Simone de Beauvoir (and Joe Theologian) – is part of the series’ genius. Suffice it to say, the Alien quadrilogy is much like the xenomorph itself: meaningfully frightening, oddly beautiful and utterly unlike anything else out there. Prequels like Prometheus make the mistake of assuming that knowing could ever be as exciting and psychologically powerful as not knowing. The xenomorph in particular is resonant because it is so very alien—we don’t know exactly what it is or where it comes from… Its very existence calls into question the significance of mankind, which is at least part of the point of the first Alien film, which presented a lonely, melancholy vision of vulnerable humans traveling through a cold, indifferent universe. Even if the apparent engineers of humanity in Prometheus turn out to despise their creation, the film insists that humans are special after all. There’s truth is what he says – the space jockey mystery is/was one of the coolest aspects of the original film, and Prometheus deflates it. Still, me thinks Perpetua might protest a tad too much; the prequel aspects are still pretty fun, and as Scott has claimed from the start, the film stands on its own quite well without them. Prometheus has a breath-taking beauty all its own. Ridley Scott has always been a better stylist than a thinker, and here he gets to shine in that respect (and how!). The mood may be somber, the palette may be all dull grays and blues, but the artistry behind the images is undeniably joyful. He’s having fun. The first foray into the dome is incredibly visceral, and the scene of android David in the Engineer cockpit represents a new frontier of digital invention and beauty. Plus, almost a week after seeing it, I still haven’t been able to shake the gory sequences, all of which were undeniably memorable. Much has been said in other places of Michael Fassbinder’s brilliant performance. He steals every scene he’s in, embodying the arrogance of his creators with gleeful calm and two-faced playfulness. But Noomi Rapace and Idris Elba are fantastic as well. Charlize Theron’s ice queen character was a bit one-dimensional IMHO, esp re: her relationship with her father, but I wouldn’t be surprised if the inevitable extended cut sheds a bit more, um, light. Q: You throw religion and spirituality into the equation for Prometheus, though, and it almost acts as a hand grenade. We had heard it was scripted that the Engineers were targeting our planet for destruction because we had crucified one of their representatives, and that Jesus Christ might have been an alien. Was that ever considered? Ridley Scott: We definitely did, and then we thought it was a little too on the nose. But if you look at it as an “our children are misbehaving down there” scenario, there are moments where it looks like we’ve gone out of control, running around with armor and skirts, which of course would be the Roman Empire. And they were given a long run. A thousand years before their disintegration actually started to happen. And you can say, “Lets’ send down one more of our emissaries to see if he can stop it. Guess what? They crucified him. It’s another fun little what-if, casting the crucifixion as the nail in mankind’s coffin, rather than the crowbar that pried open the lid. Which is what science fiction is all about, after all, i.e. speculation. The overall friendliness to religion in Prometheus was a little unexpected, and not nearly as hokey as I was anticipating. Rapace’s character is more than some vague John Locke-on-LOST “person of “faith”, rather, she is a person who wears a cross. One that she’s intent on reclaiming at the end of the film. It’s touching moment. And then there are the two co-pilots of the Prometheus, who, just before they sacrifice themselves in kamikaze fashion utter the line, “we’ll have to settle it on the other side.” It’s just one line, of course, but it’s clear that some form of belief in heaven informs how they approached their act of heroism. But my favorite theological touch was the final line of the film, in which Rapace’s Elizabeth Shaw says something about “The Year of Our Lord” – the usage is both beautiful and perfectly transgressive, especially coming from that character during that ending of that particular film. The trouble, of course, comes with Rapace’s refrain of “I choose to believe”, which sounds like something screenwriter Damon Lindelof did indeed borrow from his recent day job (as co-creator of LOST). Even religious people who believe in free will don’t talk that way. Lindelof is attempting to reconcile what he sees as opposites, i.e. “faith” and “science”; it’s just a shame that “choice” has become the method of, um, choice. In this schema, if someone is going to believe in God, the only way it can happen is via some form of willful exertion (and ignorance). But in moments of life-and-death danger, does anyone talk this way?! While Damon is clearly sympathetic, it sounds suspiciously like what a non-religious person thinks a religious person might say. In reality, bold declarations of human agency and choice in the midst of crisis are far more indicative of a “secular humanist” mindset than a religious one. And the filmmakers could have so easily left it out. If only they’d consult a living, breathing minister on one of these films…! Oh well. It’s a minor gripe, as plausibility is so clearly not the point here. “…it sounds suspiciously like what a non-religious person thinks a religious person might say.” Exactly. I think this is actually a major flaw of Prometheus: that it raises questions of spirituality and faith which it is either not really interested in exploring or is not equipped to explore. Add onto that an overemphasis on mythology (another weakness borrowed from Lost) and more implausibility than any self-respecting sci-fi fan should be asked to accept, and I think you actually have a pretty bad movie. Anyway, I enjoyed watching Promethius a lot, except for when the line “choose to believe” came up (at least three times), at which point I cringed, and even threw up in my mouth a little bit. Saw it in IMAX 3-D, which is really the way to go when one has the option. So intense! That quote from Ridley Scott about Jesus is really a trip! 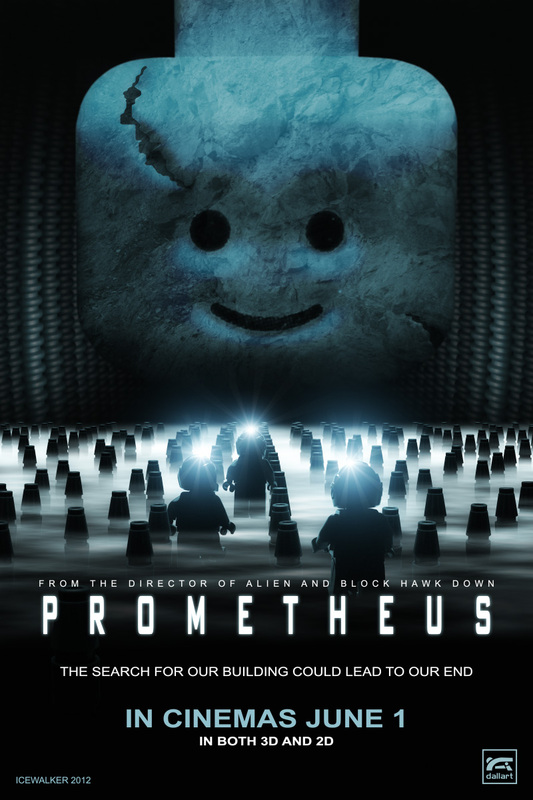 If you want to let Prometheus off the hook because it should simply be “enjoyed” and not taken seriously (a misguided strategy I’d argue, but that’s another discussion), then the movie’s repeated references to BIG ideas are even more egregious. In other words, Prometheus shouldn’t bother to start a conversation it’s not prepared to have. I’d also argue the original Alien is a paragon of movie science-fiction – and thereby closer to the Citizen Kane conversation – precisely because it is a simpler narrative (not that intriguing themes concerning motherhood and feminism don’t arise out of it). And Metropolis is another very substantial candidate. Ooh, yes. Now we’re getting closer to Kane! 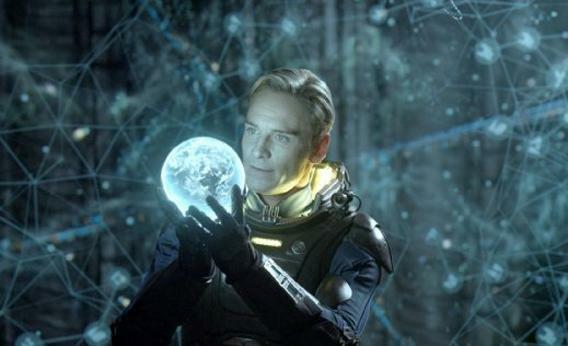 Prometheus as a sci-fi exploration is sort of like Metropolis the anime (not the Fritz Lang masterpiece). You’d think that with a story by Tezuka and direction by Kazuhiro Otomo the film would astonish and amaze but it was “meh”, asking big questions without coming up with particularly memorable or compelling answers, also obviously making a nod to a cinematic classic. Prometheus probably has it worse off because it not only name-checks that it’s in the same narrative universe as the original Alien film it also explicitly refers to Lawrence of Arabia. I have problems with the skeletal to non-existent motives of a number of supporting characters and some inexplicable actions taken by some of the main characters. The production is first rate and the actors are committed. Michael Fassbender is impressing me with his ability to take genre roles and make them beautifully refined performances, whether it’s the android David or the very likable but brutal Magneto. I don’t know if Prometheus is going to go the distance as a film but Fassbender’s acquitting himself so well the movie is worth a matinee at least for what he does with his part. 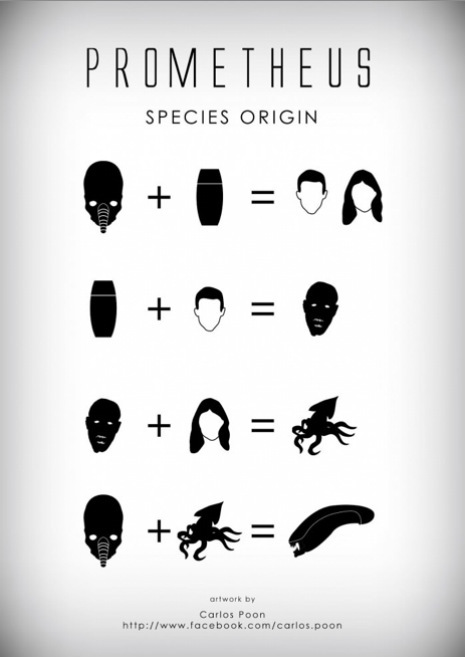 I had an interesting discussion about Prometheus with a friend of mine the other day. One of the things that made her crazy (in a bad way) about the film was that the only things we know about the motivations of the Engineers, and the motivations of David came from expository suppositions. We only know what the characters in the film think that they know. I loved the film for the same reasons that she did not enjoy it. We don’t know anything about the Engineers at all. Everything we think we know is based on the theories that the characters in the film mention, and is possibly (probably?) incorrect. The film characters clearly don’t know anything, so how can we be expected to? The fact that the film posed far more questions than it answered is precisely why I liked it. I’m glad you brought up the “I choose to believe” line. It was dreadful! I also shook my head in the brief dialog between lil Elizabeth and her Dad about the after-life. It was all universal pluralism and the cross was just a decal meaning “religious”. I don’t expect other than this from Scott, the director’s cut of Kingdom of Heaven gave a sermon on this. Muslims, Jews, Christians: all the same. Scott chose his flavor because he is British. I thought the most profound part of the movie was the little dialog between David and the Ice Queen. She wants to know his motives and he says he has no wants or desires, but if he did, it would be to kill his parents. Even the name Prometheus evokes the myths of Zeus plaguing humanity for attempting to usurp Olympus, as he himself had done with his father. It is the cycle of violence that ends in Christ, who obeys His Father and the Father in love comes to the children. The war between Creator and Creature ends on the Cross where they are reconciled in Christ Jesus.